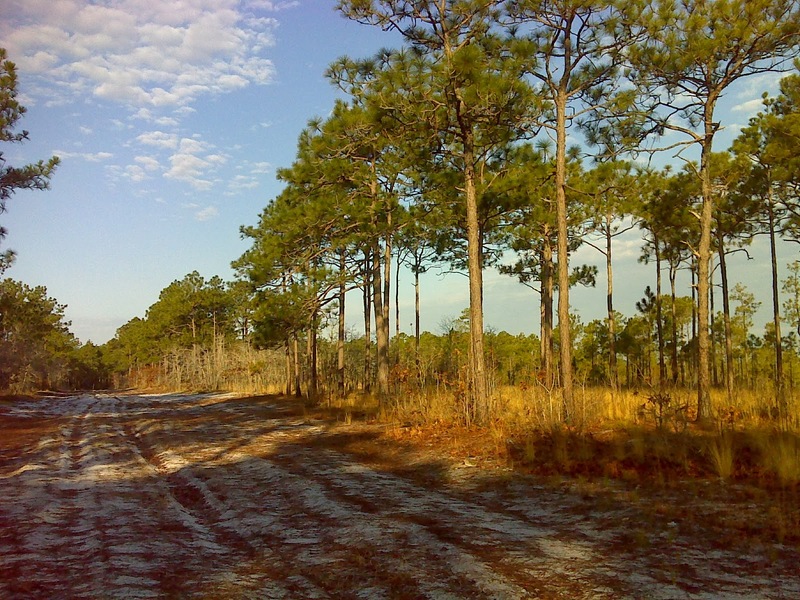 If you go to the USDA National Forest Service web site and look up Croatan National Forest, the very first paragraph of the forest's home page informs you that "Bordered on three sides by tidal rivers and the Bogue Sound, the forest is defined by water." What it failed to say was that after a heavy rain, such as we had on Friday, much of the forest *is* water. 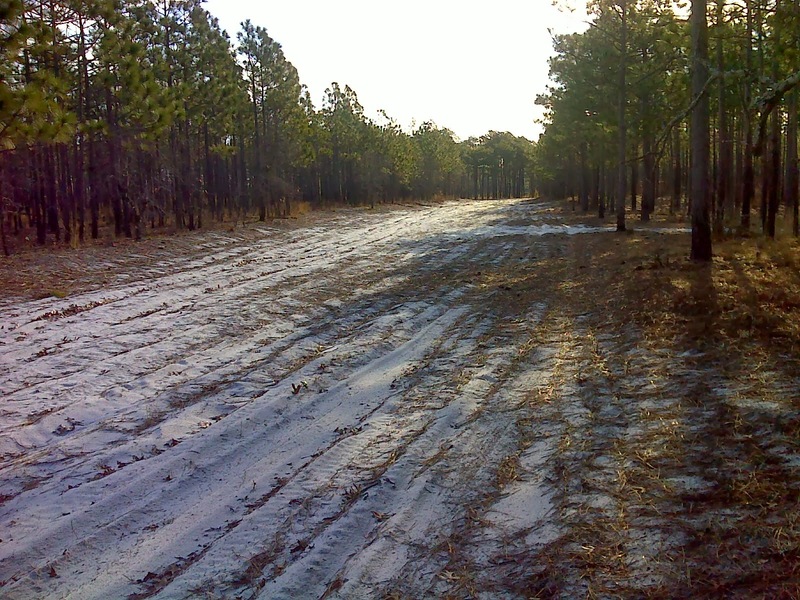 Even with the sandy soil found on the highest ground, in the unique and special Longleaf Pine Savannas, the soil does not drain well, so that every slight depression contains a boggy meandering little stream. 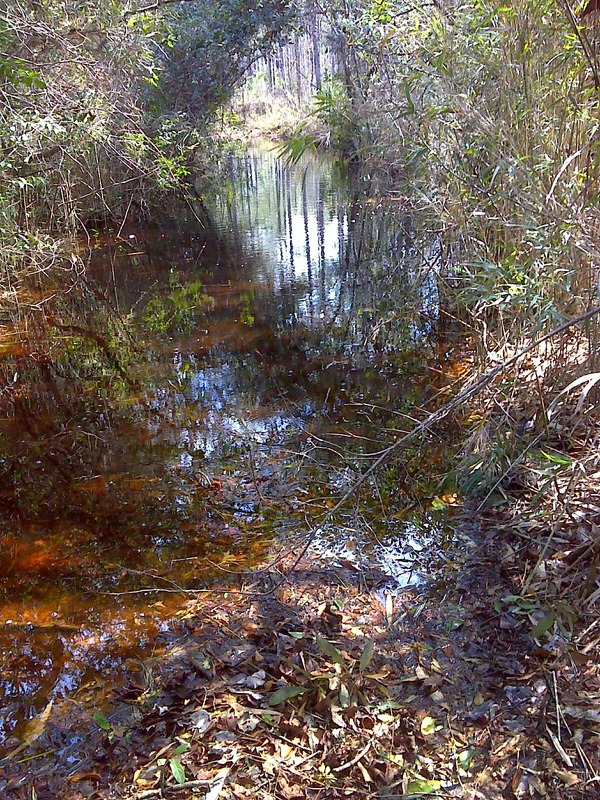 When four-wheel-drive vehicles establish an unimproved track across this type of terrain, every boggy little stream becomes a deep wallow. And when a hiker coming through scouting a route for the Mountains-to-Sea Trail, the result is plenty of "take-your-socks-off, roll-up-your-pants-legs, and start wading." The worst of it was knee deep. I don't know if this shot conveys the impression, but as I forded this not inconsiderable stream it felt as though I was in a watery version of the famous Appalachian Trail's 'Long Green Tunnel'. 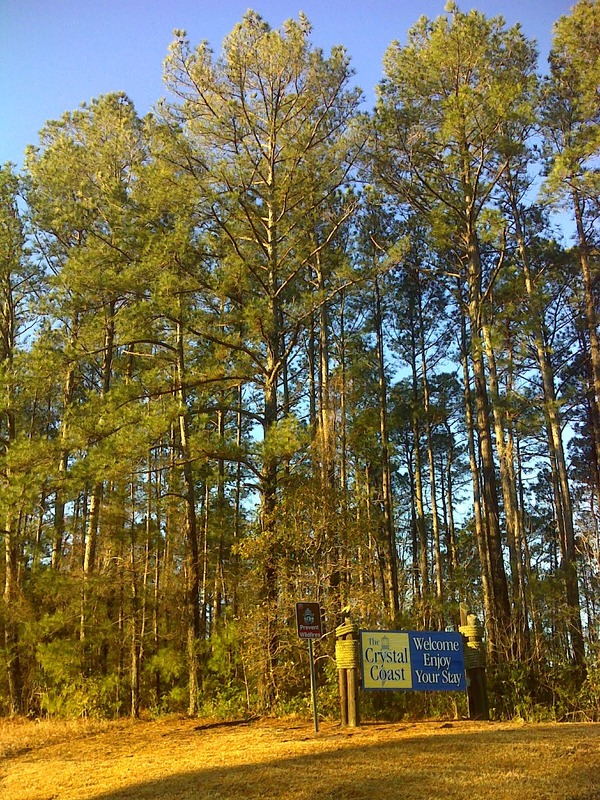 The Neusiok Trail, on which I reported in the last installment, provides plenty of Croatan Forest adventure. But at 160,000 acres there's plenty more adventure to be had, and the new route that the Mountains-to-Sea Trail is following takes advantage of much more of it. 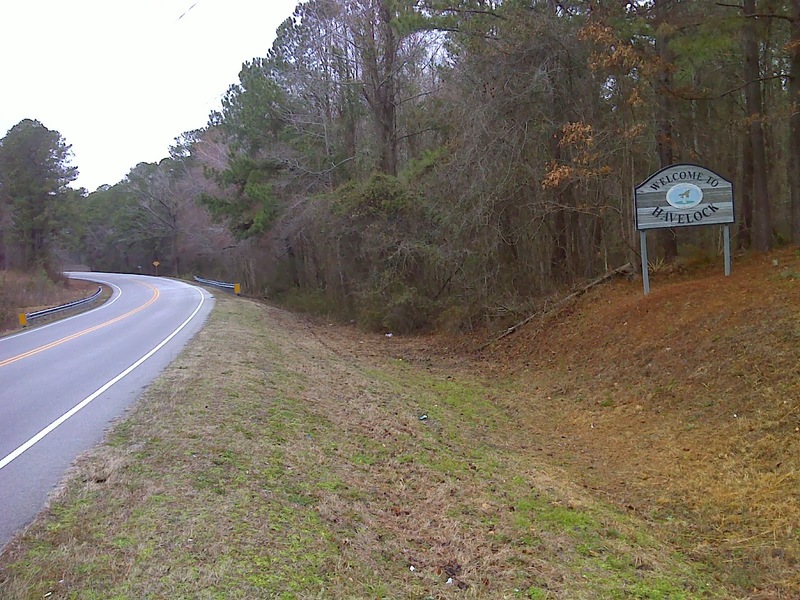 After leaving the Neusiok Trail, there's potential for a western extension with at least five miles of foot trail heading toward the military town of Havelock and emerging somewhere along US 70, either on the southern fringes of Havelock or perhaps here at the Craven-Carteret County line. 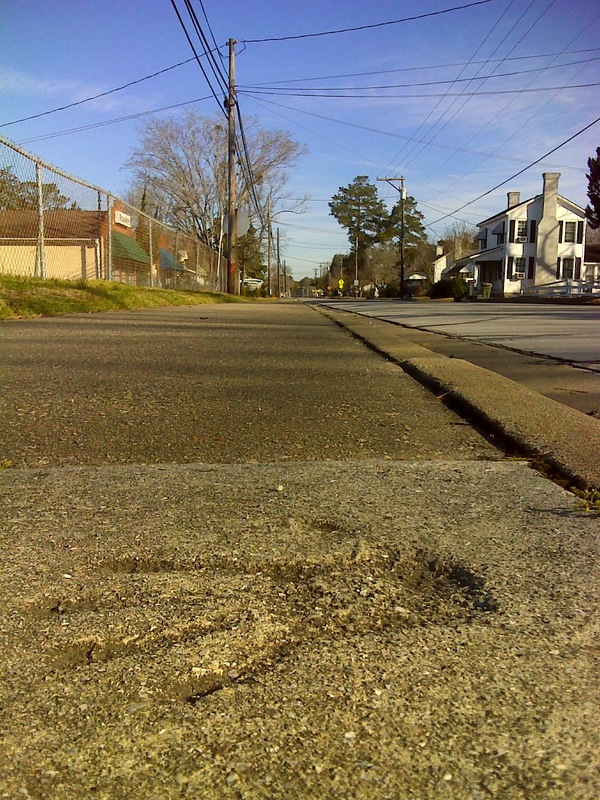 Since that five miles of trail is yet to be built, there's currently some road walking to do through the east side of Havelock. 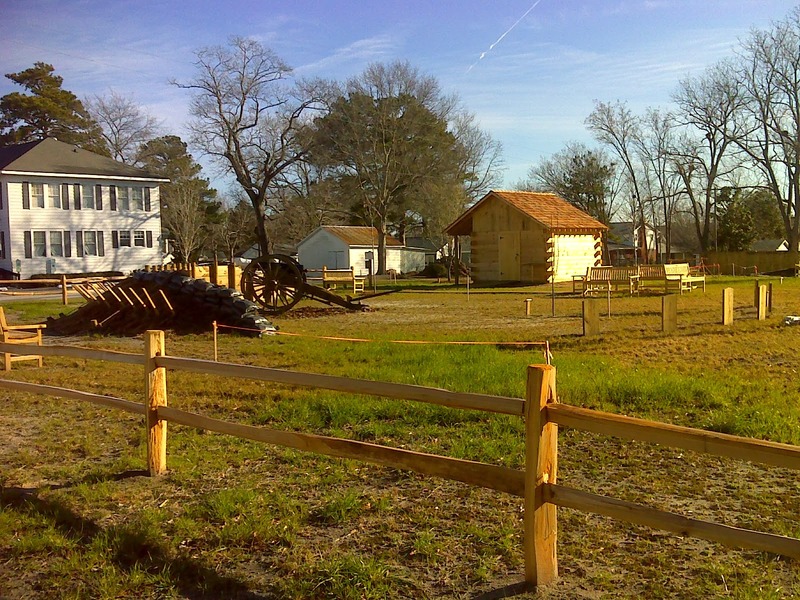 Where there's a newly constructed Civil War exhibit commemorating the Feburary 2, 1864 "Battle of Newport Barracks". The exhibit is beside the large and impressive Newport Historical Museum building, shown in the background. 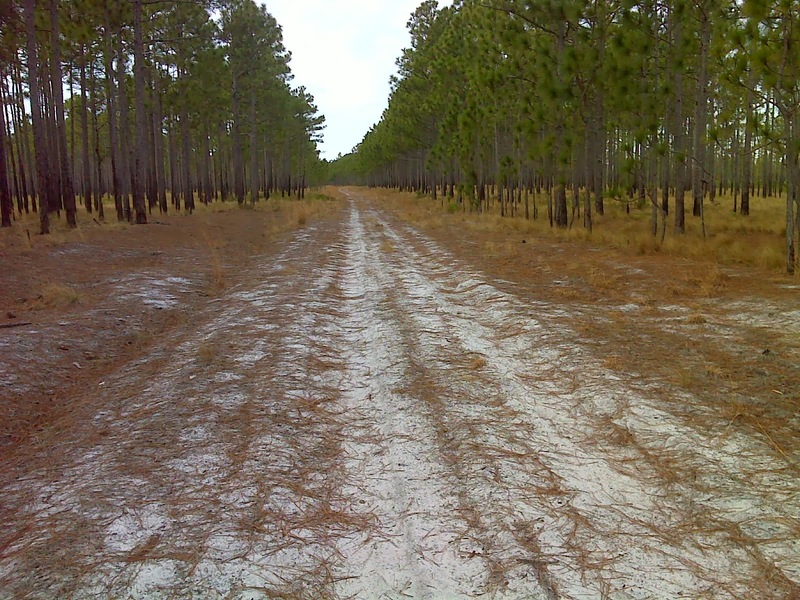 These woods roads were where the watery adventures took place, yet in other sections the road was more like a giant sandbox. But either way, I was never far from the serene Savanna scenery. 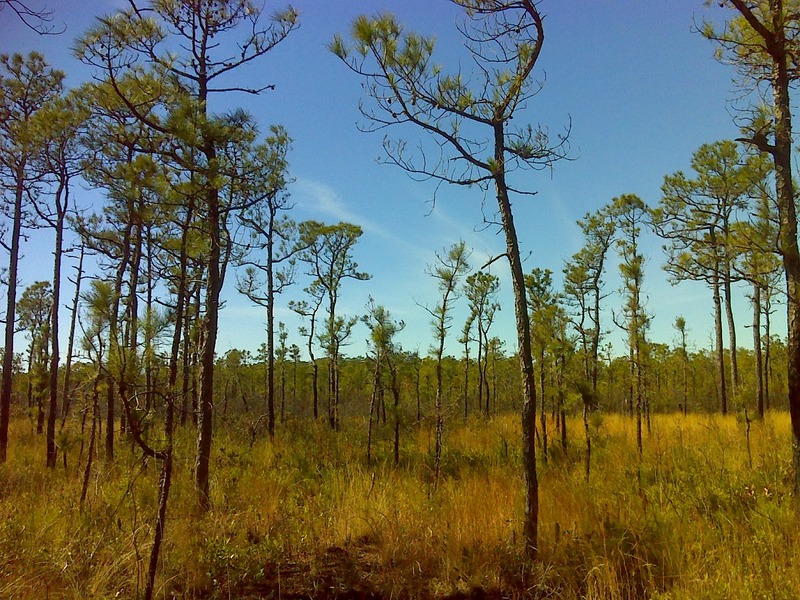 Savanna is rare in the United States, and I don't seem to tire of its charms. 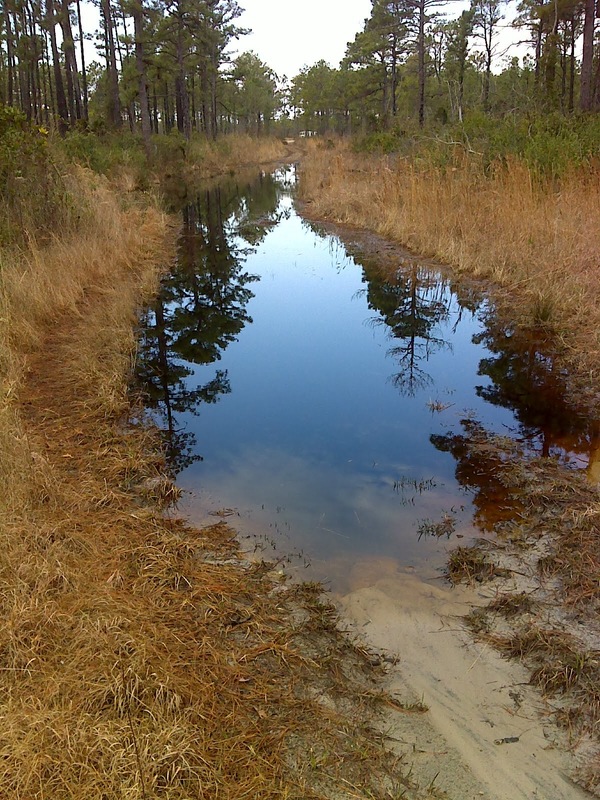 The shot below was taken just north of the Patsy Pond Nature Trail across NC 24 from the North Carolina Coastal Federation's main office. In the future, I have hopes that the MST can swing down and join this 1.9 mile loop trail, but there would be a bit of boardwalk/bridge building required. 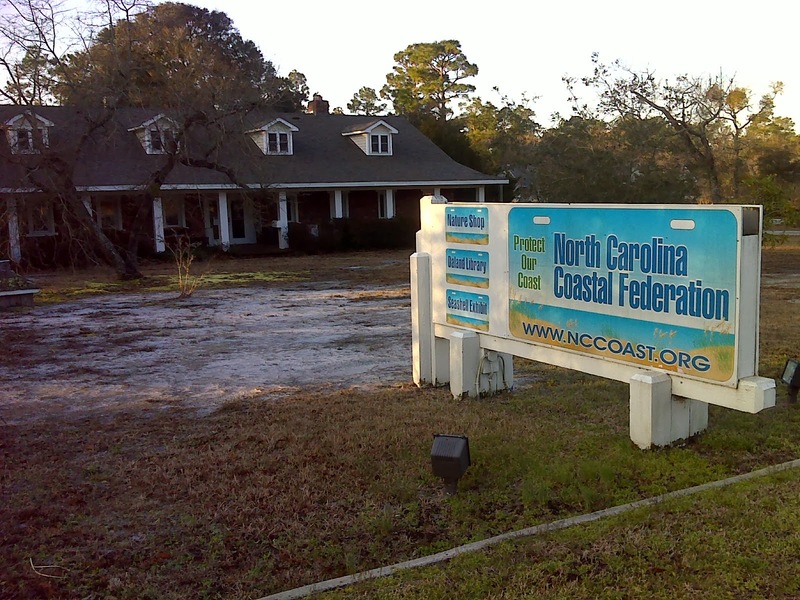 The NCCF office is a great stop for the hiker. Restrooms are available during business hours, and you'll find plenty of information and exhibits about the coastal environment along with a friendly, engaging staff. This report covers three days of hiking, and below you can find the GPS tracks, including some routes scouted, all documented by many geo-tagged photos. Follow the link in the title line for a slide show and access to more of the GPS information. Hey PJ. Great Blog. I am enjoying following your journey from my office. Not sure what your plans are for over-nighting around the Raleigh/Durham area. Camping is pretty limited. Shoot me a note with your contact information if you need help or a yard not far off trail to camp in. 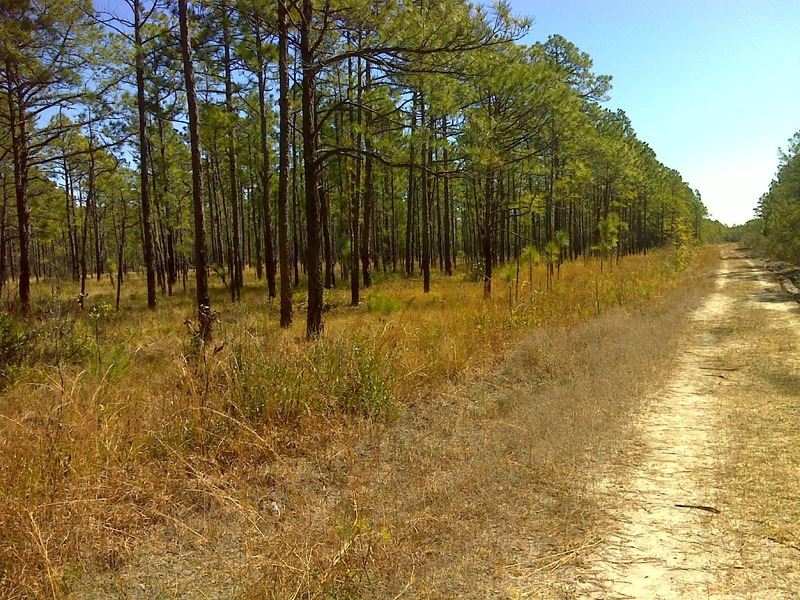 I have some good local MST trail maps and have spent a lot of time on the trail in this area. We have helped through-hikers in the past and would be happy to chat about how we might help you. Happy trails! Hi Jesse - I appreciate the compliments, and thanks for the offer. I may take you up on that. Will contact you.